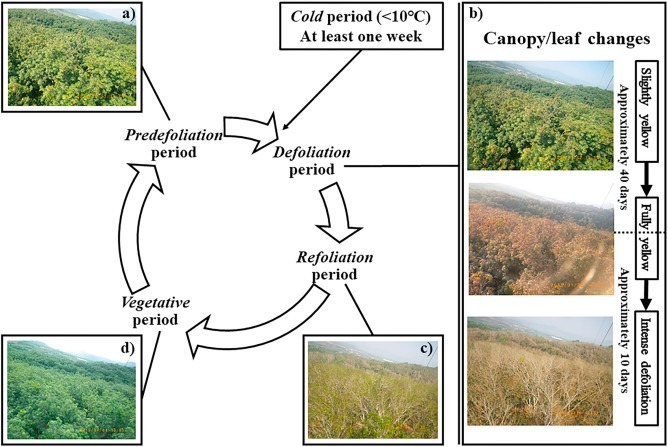 Prof. LIU Wenjie and his team of Xishuangbanna Tropical Botanical Garden (XTBG) conducted a study to examine the impacts of soil quality after the conversion of natural tropical rainforest to rubber monoculture. They aimed to understand how rubber trees benefit from intercropping, especially in terms of improvement in the physical and chemical properties. They measured the soil total C, N, P, K, Ca and Mg chemical properties to determine the changes in soil nutrients between different land uses. 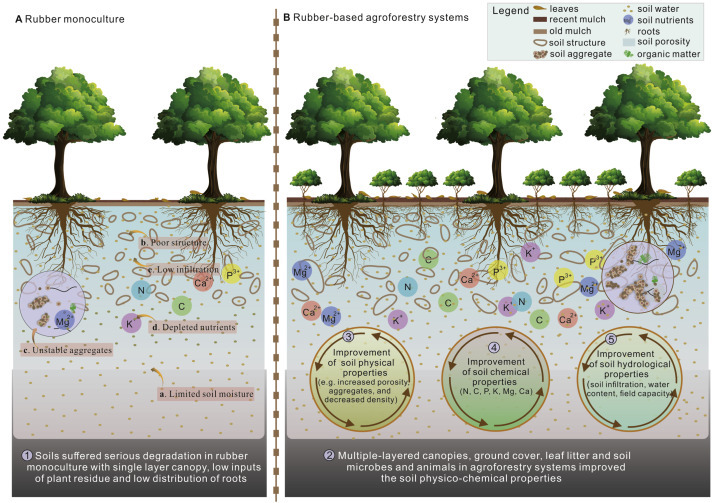 They also measured soil structure, soil water capacities, soil aggregate stability and hydraulic conductivity to compare the land use differences in soil physical properties. 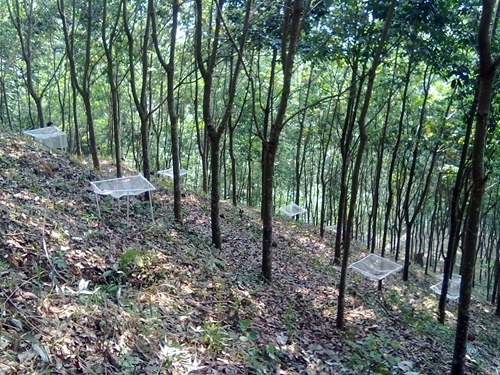 The study entitled "Can intercropping with the cash crop help improve the soil physico-chemical properties of rubber plantations?" has been published in Geoderma.